Situated about 85 km to the south of Ho Chi Minh City in the Mekong River Delta, Ben Tre Province covers a total area of 2,315 km square. 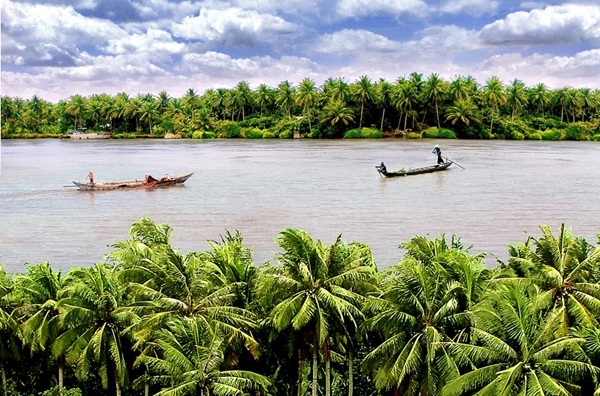 Standing between two major branches of the Mekong’s largest tributary, Ben Tre takes advantage of a fertile agricultural region and beautiful coastline. 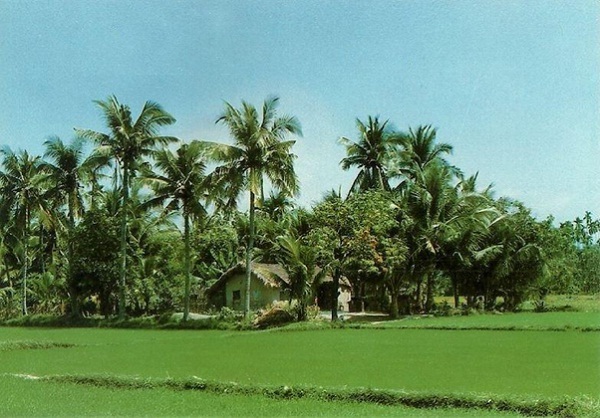 In spite of some surprising topographical features including sand dunes and unique rock formations Ben Tre is generally considered to be flat. All of the farmlands in the province take advantage of the abundance of diverse and complex river systems of fresh water and alluvial soil of the area. Typically monsoon tropical as it is, the weather in Ben Tre is rather uncomfortable with high average temperatures from 26 to 27 degree Celcius. From May to October is the period of the rainy season, during this time, the average rainfall is of 1,250 to 1, 500mm. Thanks to this kind of climate, the province has a wide range of fruits, trees and animals, a lot of which are precious and valuable species. 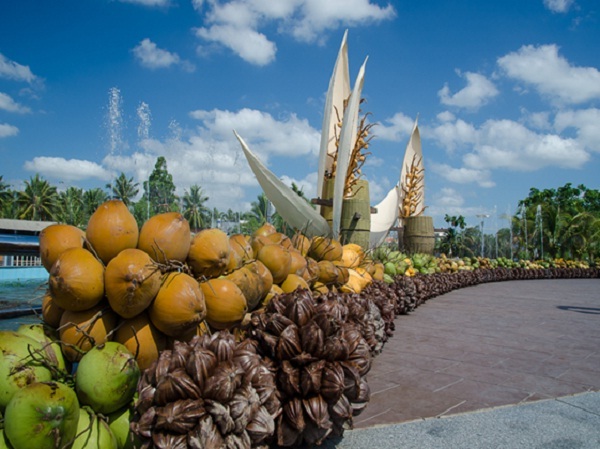 This area is really well known among the tourists for its special keo dua (coconut candy). Many local women earn their living in small factories by producing these sweets, spending their days boiling cauldrons of the sticky coconut goo before rolling it out and dividing slices into squares. If you want to travel to Ben Tre, doing a boat trip from My Tho through the large network of minor canals together with a lot of scope for riverine exploration is highly advisable. A small museum and a pleasing riverfront situated nearby are worth investigating. If you are a budget traveler, Ben Tre is a much better choice than My Tho. Being a pleasant enough spot and a tiny charming town charm, Ben Tre is worth making it an all round reasonable destination for those who have enough time on their hands to travel slowly through the Mekong Delta.